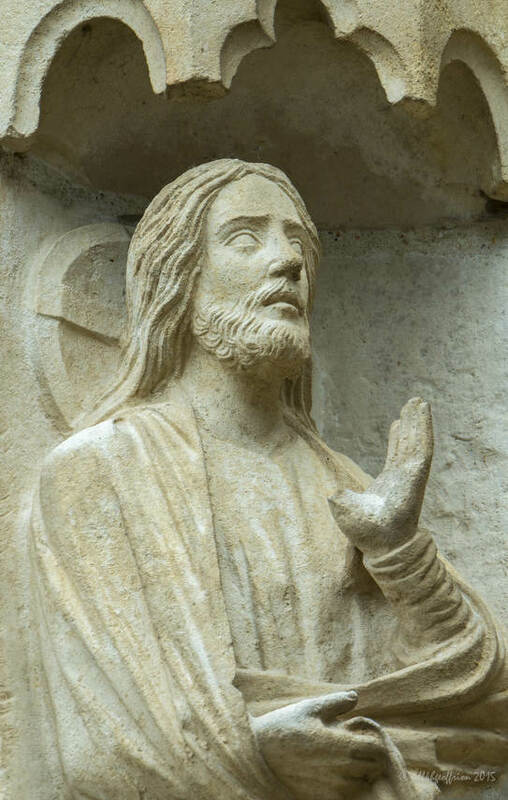 On the north porch of the Chartres Cathedral are a series of ten images of God, the Creator. If you are going to pray with these sculptures, it is helpful to have a good pair of binoculars (or if you are a photographer, a nice, long lens). God, the Creator, ponders and contemplates. Acts of creation are both mental and physical. While creating one thing, the Creator is also imagining another. Creation involves both stability and movement. The Creator is full of strength and tenderness. Blessings is a part of being creative. 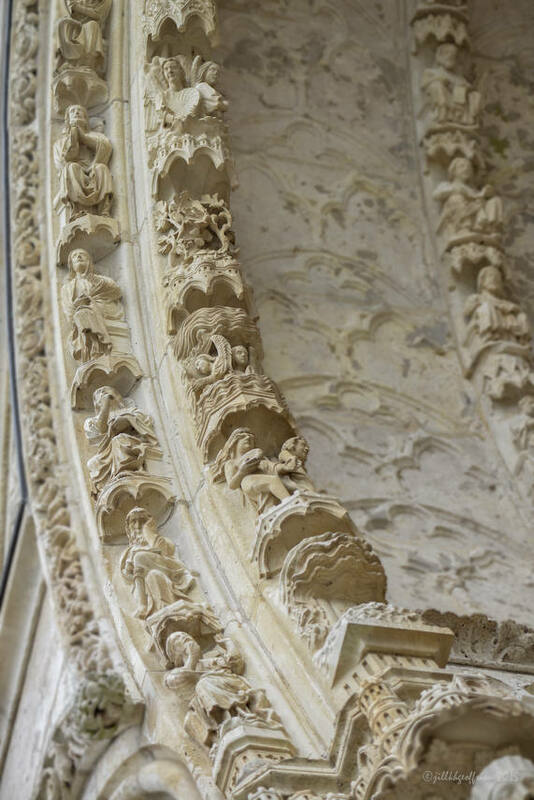 The outer row of sculptures on the left side of the portal show God creating. 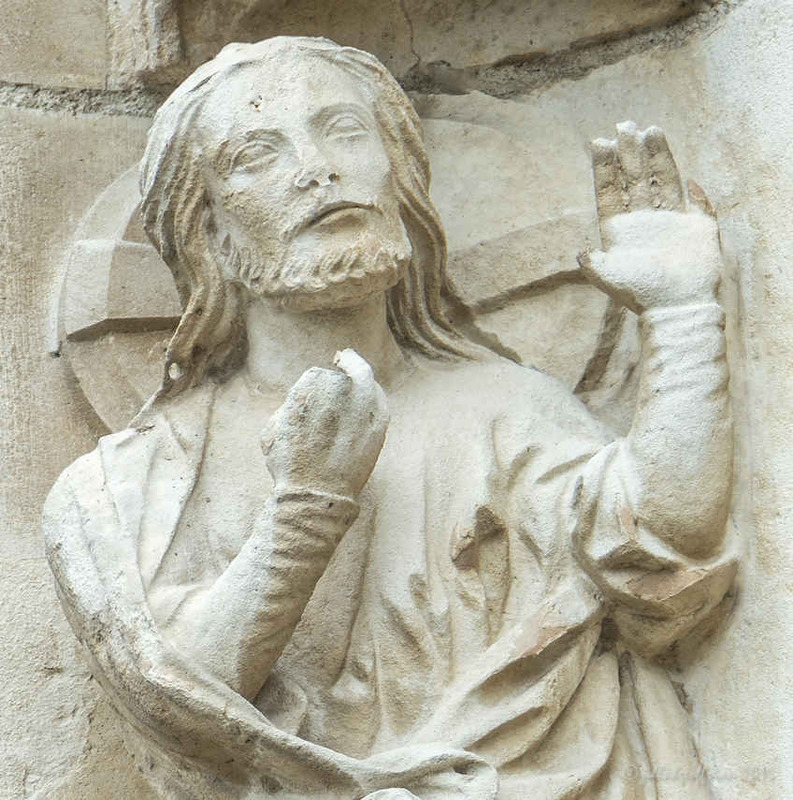 The sculptures of the outer central bay archivolts on the north porch were created and put in place between 1194-1230. Heinmann, Adelheid. 1938. “The Six Days of Creation in a Twelfth Century Manuscript.” Journal of the Wartburg Institute 1 (4):269-275. Runcorn, David. 2001. The Creation of Adam. Seven Guided Reflections from Genesis: Grove eBooks. Chartres Cathédrale Porch et Portails Nord. Chartres, France: Patrimoine Restauré En Région Centre. Nicot, Guy. 2002. 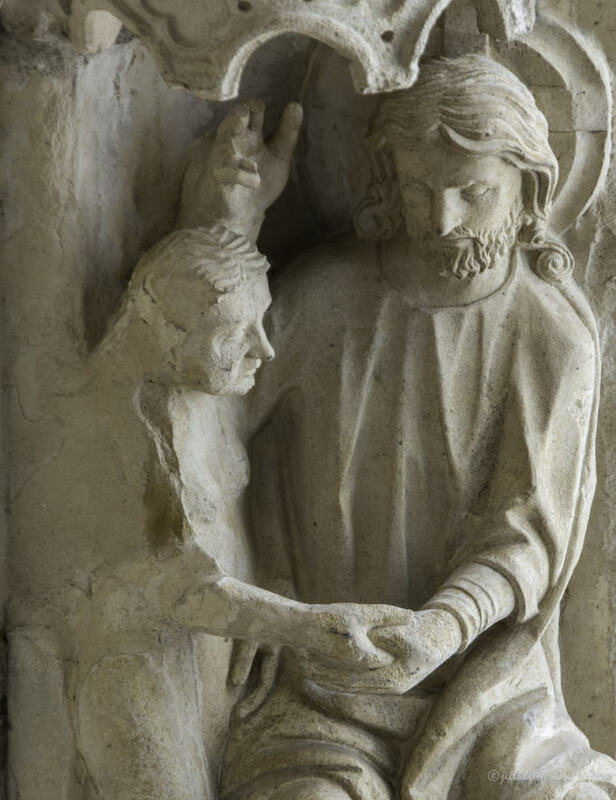 “Visions Féminines de l’Imagier au Portail Nord de Chartres.” In L’Éternel Féminin Au Regard De La Cathédrale De Chartres, 71-76. 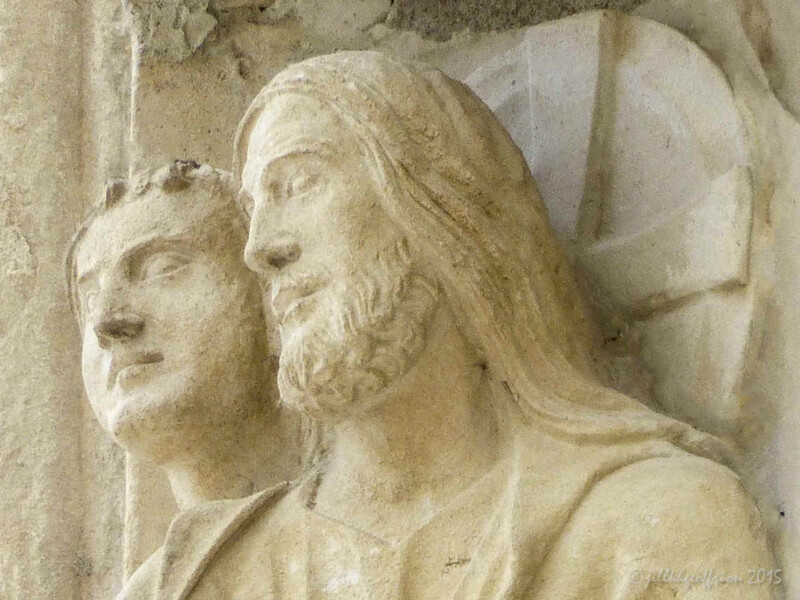 Vieubled, J. L. Chartres, La Cathédral: Portail Nord, La Création du Monde (Photos). Chartres, France: Éditions Houvet. Villette, Jean, Edouard Fiévet, and Pierre Lefevre. 1994. 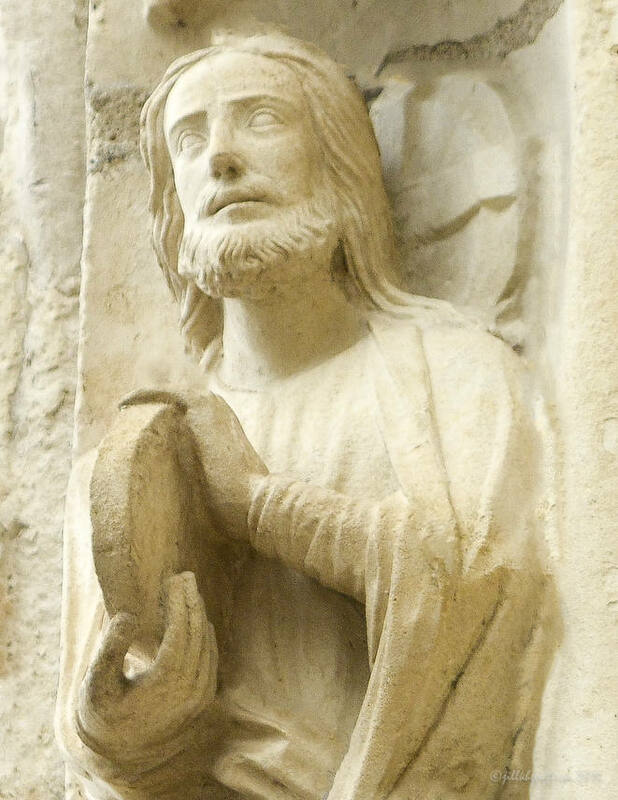 Les portails de la cathédrale de Chartres [photogr., Édouard Fiévet, Pierre Lefevre]. [Chartres]: J.-M. Garnier.